Blended learning is the combination of face to face learning, learning by doing and apt usage of digital content that truly deepens the student's learning experience and helps children to grasp the concept better. Since inception, the school has taken several steps to integrate technology with traditional modes of teaching as it understands that the need to prepare students for the 21st century workplace has to be addressed right now else it would be too late. School focuses chiefly on small group instruction that on one hand helps the teacher to teach and focus on each child’s need and on the other hand makes it possible for each child to discuss its problem with the teacher. This can be successfully witnessed in the special classes based on the STEM concept that is currently being run for all classes in the school. Children sit in small groups of 3 to 4, ponder over a problem, find solutions and put their imagination on the tablets given to them. They also built up live models to have the experience of learning by doing. Students watch videos that are based on various case studies that give them a different experience of learning by watching. Such video presentations have a perpetual and unfathomable impression on their minds. 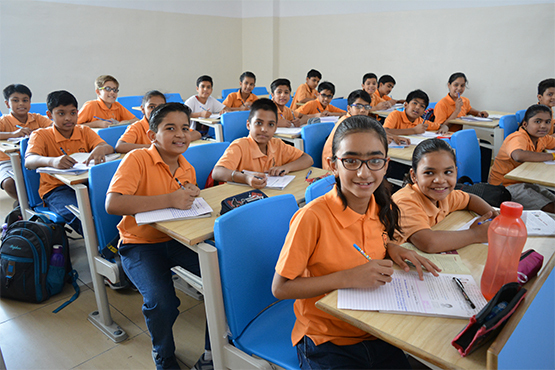 Apart from the day to day curriculum that the school follows the school also tries to keep its Cambridgians on their toes by arranging activities such as group discussions, debates, poem competitions, quiz competitions, science week, skits, dramas, slogan writing competitions and many more. We truly believe that our uphill struggle would definitely help in molding our children into young confident beings of 21st century who would be ready to face and handle all the problems.